Grand Master Art Mason began his formal martial arts education on November 10th 1984 in the Chung Oh system Grand Master Oh from Kitchener was at the time a 7th Dan Black Belt Hapkido master as well as a 7th Dan Taekwondo master. During his early years his head instructor was Master Philip Hollohan, where he spend 16 years under his direct supervision. At the rank of Green Belt began his teaching career in the arts therefore creating a passion to pass on his learning. At the rank of assistant Black Belt, which is a probationary Black Belt level we still use today he began to run a branch school for Master Hollohan. During this time his passion and hunger for the arts continues to grow. At the rank of Blue Belt Master Arts oldest son Curt was taken in as a student at the very young age of 4 1/2. Little did he realize how much the arts would influence his life, his family and his future. In fall of 1999 Master Art Mason come to the decision it was time to embark on his own, leaving very peacefully his instructor of 16 years. This was a difficult decision require much thought and support from his family, most of all his oldest boy Curt (18 at the time). However things came together and finally after about 9 months of work The Peaceful Warriors’ were born. On March 1st 2000 Art Mason’s Peaceful Warriors’ Martial Arts opened it’s doors in Belle River Ontario beginning a new era. They took their first students on July 1st 2000. The school grew quickly resulting in an expansion to Windsor. On October 15th 2001 Art Mason’s Peaceful Warriors’ Martial Arts opened its doors in Windsor Ontario, since that time it has been a cornerstone martial arts school in the city. Rather then go the route many school do, the Peaceful Warriors stuck true to their Hapkido roots resulting in a pure street self defense Dojo rather than sport. During this early time there were many expansions of the school, which resulted in 4 locations across Essex County. Today Art Mason’s Peaceful Warriors Martial Arts is still running in his absence. Currently is has been take over by his senior students, as they continue the legacy he, and his sons’ Master Curt Mason, and Master Scott Mason began. Founder: Hon Sang Mu Sa Hapkido – Eclectic style incorporating a lifetime of learning. Grand Master Art and his son Master Scott currently reside in Brasov Romania. Brasov is a beautiful mountain town located in Transylvania. Considering himself to be semi-retired Grand Master Art Mason keeps busy with a small Dojo teaching only adults, plus an online Kyusho Jitsu business after founding the Kyusho Jitsu World Alliance and it subsidiaries. Master Art also travels teaching pressure point seminars and is available to do so for any group interested. You can learn more about this here! Spare time is spent walking the city and the mountain trails of Brasov with his 3 babies, Thor, Alpha and Gandalf. 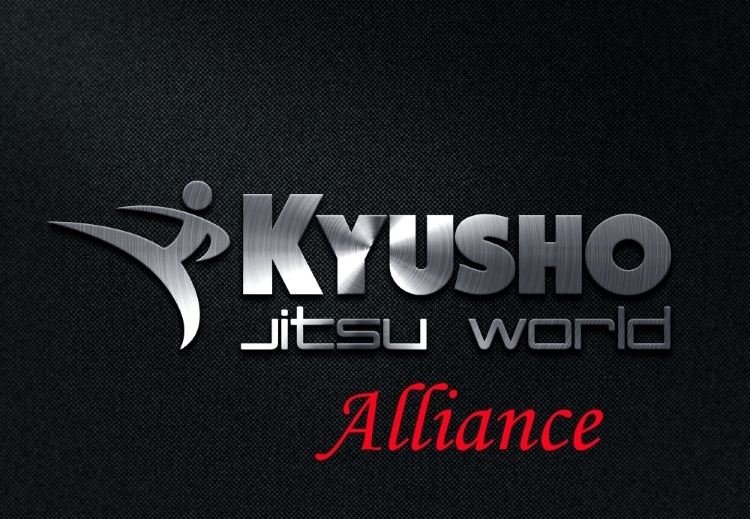 Ask a Kyusho related Question and it will be answered on or daily “Question of the Day” segment on our YouTube Channel!